The biggest cinematic season is upon us! That’s right, as far as movies are concerned Summer is here! That means a couple things here at Geeks Who Eat Headquarters: more movie-themed recipes and more giveaways! Our first recipe and screening giveaway for the summer is for none other than Alien: Covenant. 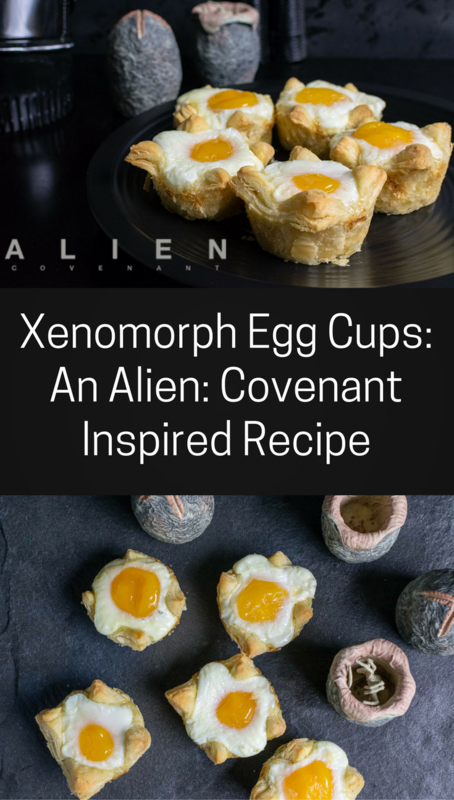 For the latest film in the Alien franchise, we have created a recipe for Xenomorph Egg Cups. Alien: Covenant marks the return of Ridley Scott to the universe he created with a new chapter in his groundbreaking ALIEN franchise. 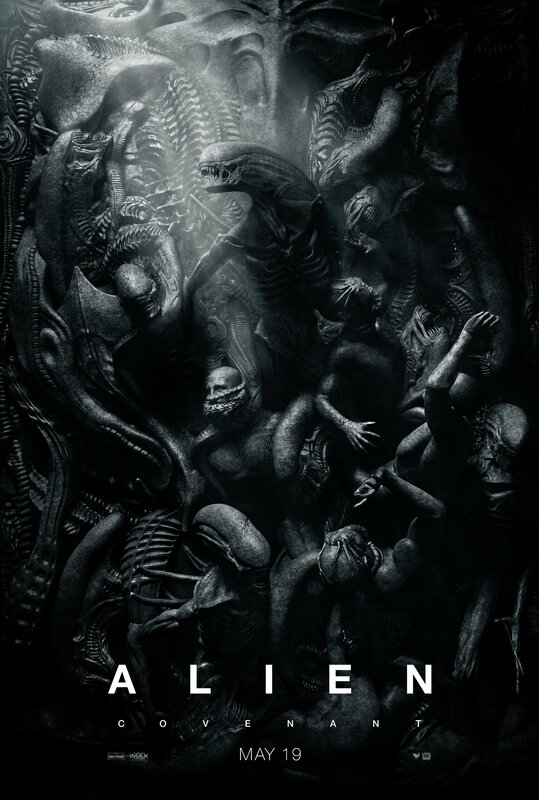 In Alien: Covenant, the crew of the colony ship Covenant, bound for a remote planet on the far side of the galaxy, discovers what they think is an uncharted paradise. In reality, it is actually a dark, dangerous world. When they uncover a threat beyond their imagination, they must attempt a harrowing escape. 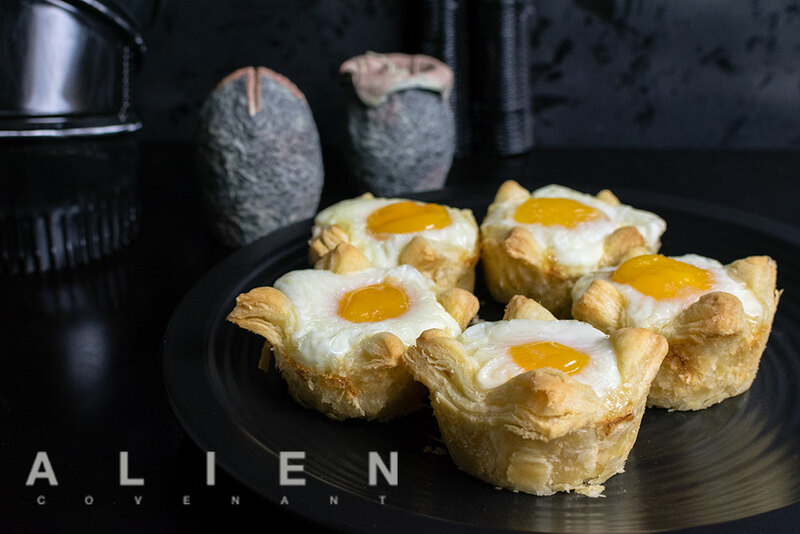 Our Xenomorph Egg Cups are inspired by the Ovomorphs (Eggs) from the Alien Franchise. We wanted to create something that was visually reminiscent of the Ovomorphs. 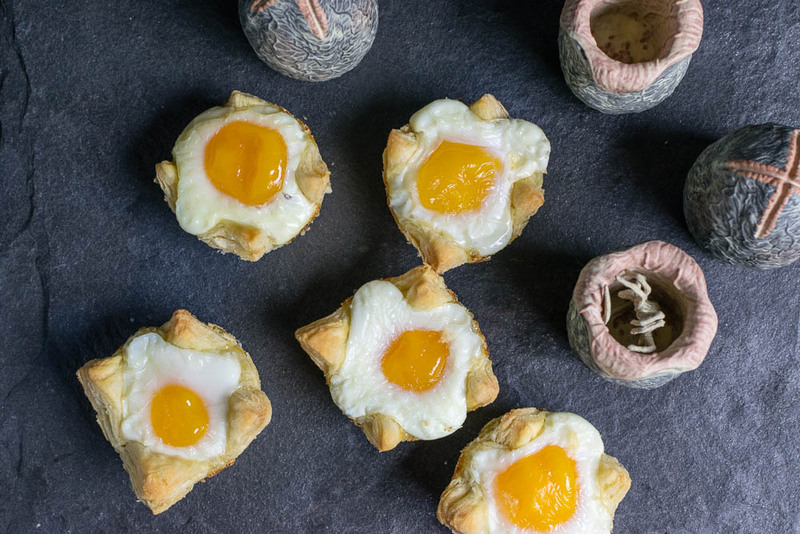 We loved the idea of puff pastry. The texture and puffiness really embodied the shape. The egg in our puff pastry did a good job of mimicking in insides of the Ovomorphs as well. We hid a bit of ham under the egg as a tribute to the face huggers hiding within the Ovomorphs in the movies. In addition to our delicious Xenomorph Egg Cup recipe, we are giving away 5 pairs of screening tickets for a sneak preview of Alien: Covenant! The screening will be held at Harkins Tempe Marketplace. The screening starts at 7 pm and the winners should arrive at 6:30 in order to guarantee their seating. Winners will be selected on Sunday, May 7th. Good luck! Defrost puff pastry per package instructions. Cut into 6 squares big enough to fill your muffin tin with the edges hanging over a bit. Place a piece of ham in each cup. Carefully remove from muffin tin. ← Previous Previous post: Get Your Poke On at Phoenix’s Newest Poke Restaurant Ocean Poke Co.